Trying to use the SpyderCo Bushcraft G10 Handle as it comes out the box. You are presented with annoying issues that prevent the SpyderCo Bushcraft G10 Handle being totally useable. 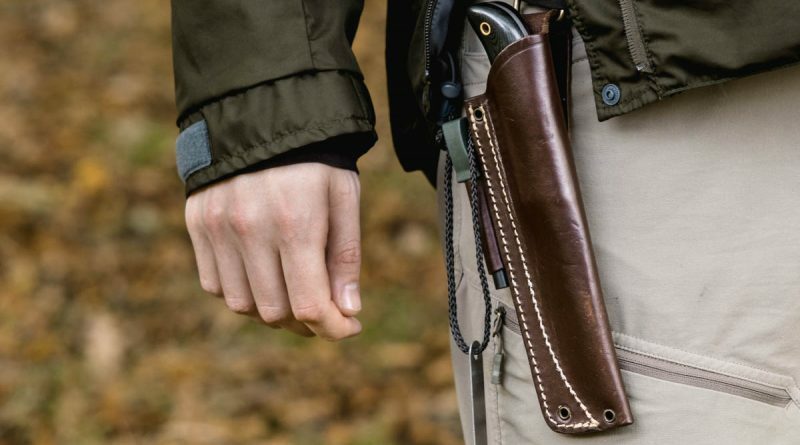 The sheath is simply not adequate and does not hold the knife securely, moreover it lacks a firesteel holder. The firesteel holder is a pretty minor issue. However the fact that the knife can easily slip out of the sheath is a disaster. 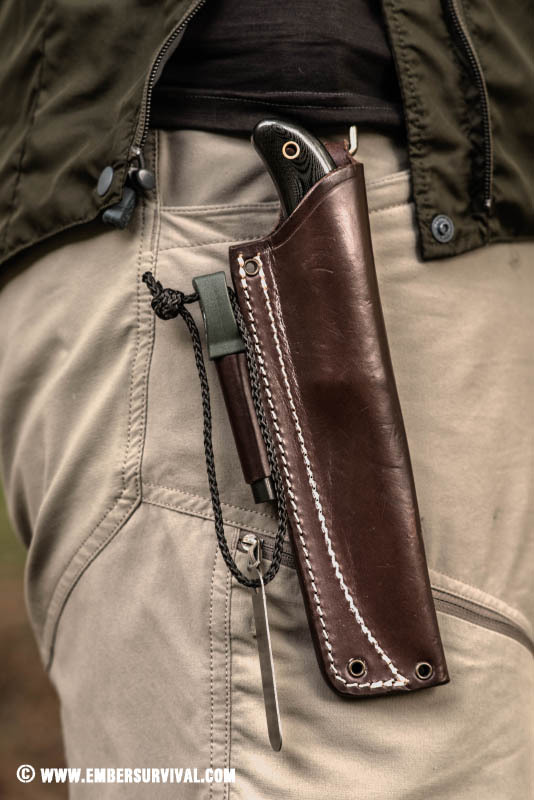 The design of the sheath allows the leather to become loose around the handle and does not supply the needed grip to secure it. This was not addressed when they updated the product to the G10 version. The SpyderCo Bushcraft had two versions go to the market. Firstly an original with a wooden handle made of spalted Maple burl which had specific issues with the scales drying and cracking. Secondly the latest version which uses a much improved G10 handle. G10 is a fantastic material for knife handles. It is very strong and doesn’t get affected by extremes of humidity, dryness or temperature. 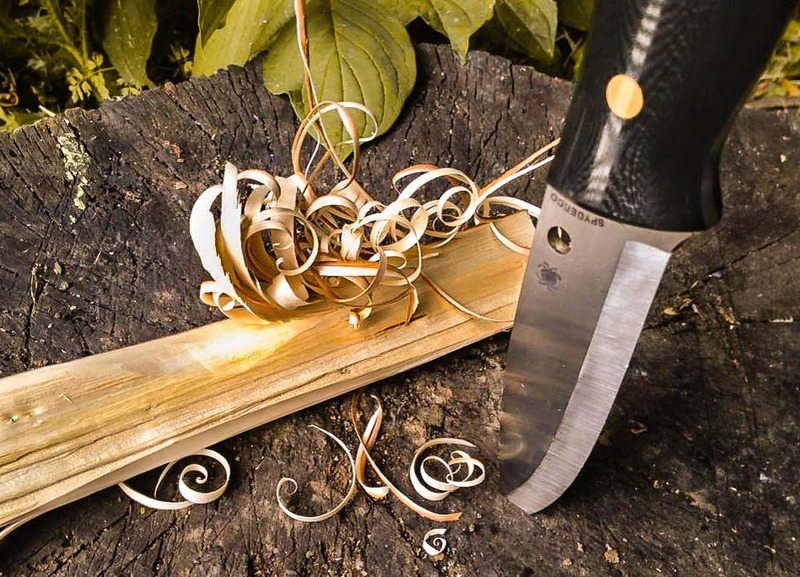 After using any knife it’s standard practice to maintain and resharpen the blade. 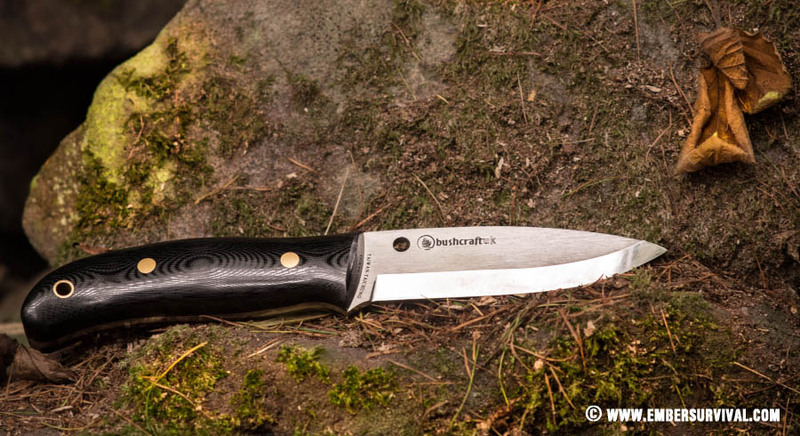 It’s here however that the imperfections of the Bushcraft’s bevel reveal themselves. The SpyderCo Bushcraft G10 Handle suffers from a slight convex bevel which prohibits correct sharpening on a flat stone, perhaps this is due to it being made in Taiwan and not the USA. In order to make the SpyderCo Bushcraft into an useable outdoor tool I have replaced the sheath and added a micro bevel to the blade edge. Using the SpyderCo TriAngle Sharpmaker its very easy to add a 30° micro bevel as the O1 Tool steal is very easy to sharpen. The sheath I went for has a firesteel holder and a drop loop dangler. These were options completely missing from the original SpyderCo sheath. Once you have a sheath that works properly and have added a micro bevel it transforms the SpyderCo Bushcraft into a much better bit of kit. The micro bevel works very well and makes the edge much stronger. Moreover less prone to rolling or getting dinged when working outdoors. Especially when compared to a plain Scandi. Taking the SpyderCo Bushcraft G10 Handle out into the field once again it feels like a completely different knife. With those amazing ergonomics and performance that were part of this product from the start. Above all what you would expect from a SpyderCo. The handle shape fits very well in the hand but I would say is more suited to medium size hands as I find the palm swell not just big enough for myself. It does work well in all hand grips such as a chest lever, forehand and backhand. The G10 scales do lack a grippy texture and this is something I will consider adding myself at some point. The O1 Tool steel holds an edge very well and is a dream to sharpen and with SpyderCo being renowned for its steel. 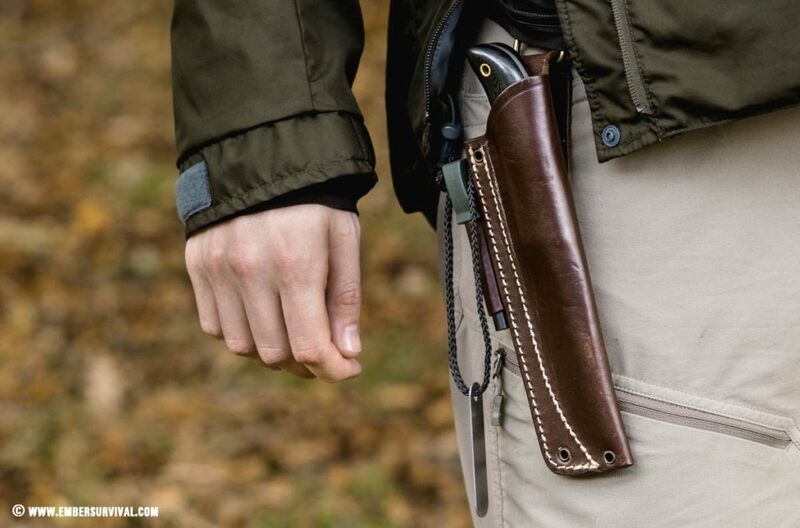 The G10 Bushcraft is no let down here. As a high carbon steel it does need to be oiled throughout any trip to prevent rusting. Rust it will without suitable care and attention! I think there is lots of potential for SpyderCo to produce a great knife for bushcraft. I would like to see a version three with an updated sheath and textured G10 scales. In the meantime for the SpyderCo Bushcraft G10 Handle it’s such a shame that you have to make changes and extra purchases to make it work. In the end it turns out to be a very expensive bit of kit to use.